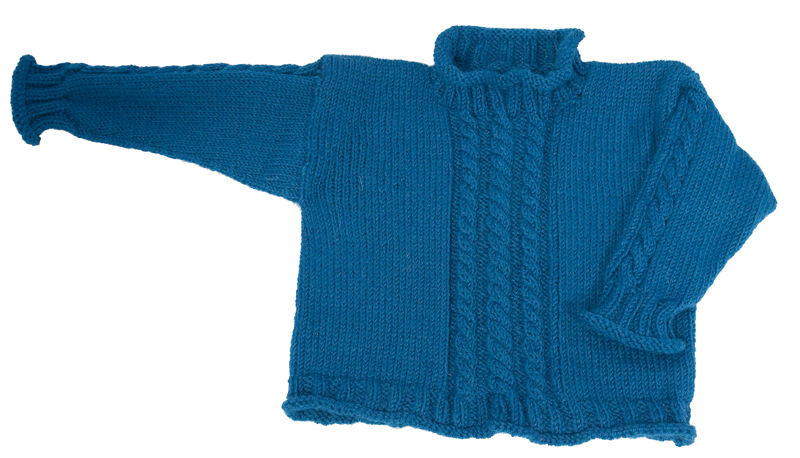 This simple child's cabled pullover features a rolled or ribbed hem and optional cabled sleeve. It fits comfortably, looks great on an active kid, is a good introduction to cables and knits up easily — the only seams you sew are at the shoulder! Finished Chest Size:	26", 28", 30", 32"
Knit a Matching Cabled Hat! 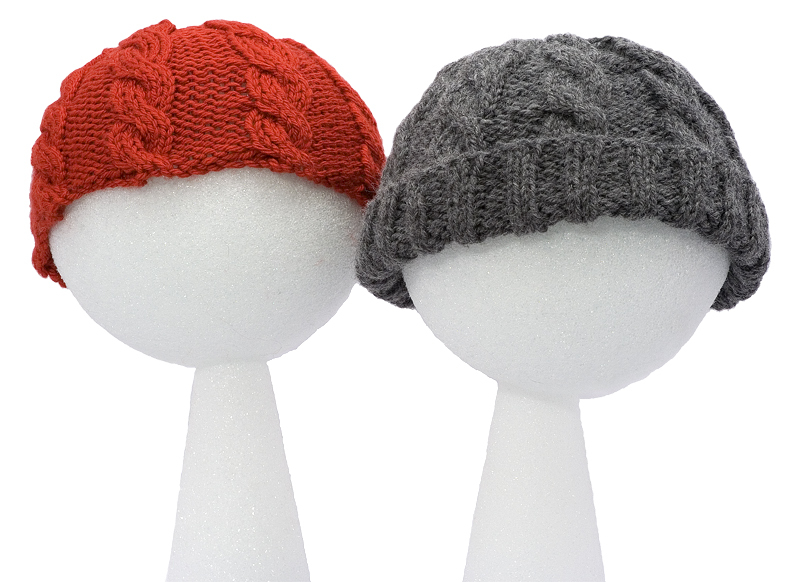 This simple cabled hat for boys and girls looks adorable and is a great introduction to cables! Choose a zippy brimless cap or a traditional watch cap with a brim. Either way you'll end up with an adorable and warm hat, and the perfect match for our children's cabled pullover!